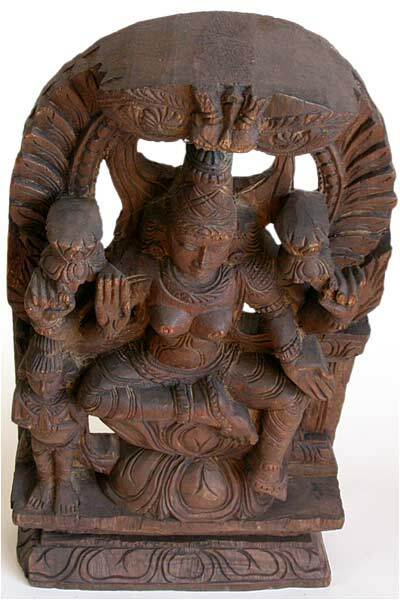 Lakshmi, the power and consort of Vishnu. Like Kuan Yin in the Buddhist Faith, she is the goddess of multiciplicity, wealth and fortune, power and beauty in Hinduism. 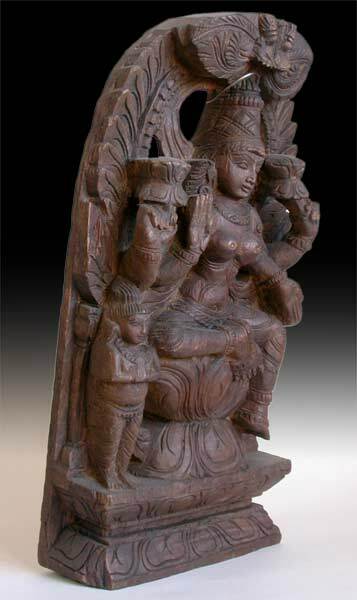 All of her blessings are necessary for good-living; which makes her the most worshipped femine diety in the Hindu faith. 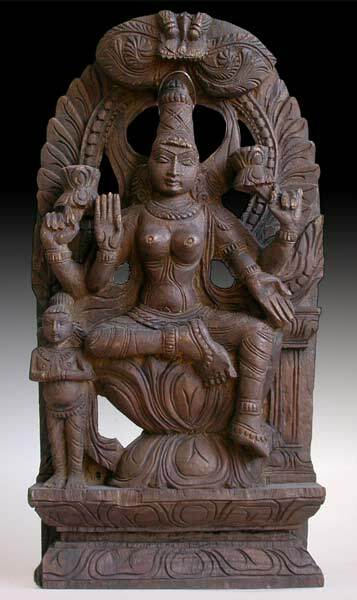 In this Lakshmi Goddess wood stele has four arms. She is lifelike and radiate with spiritual energy. 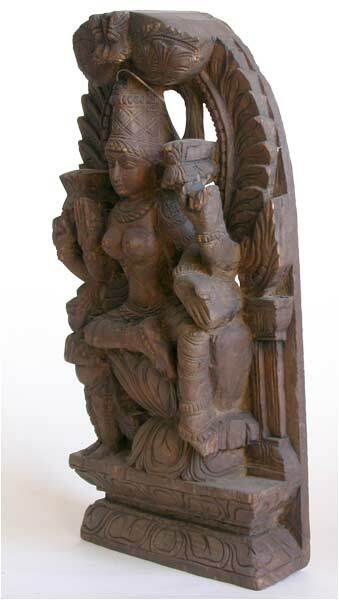 A fine example of India wood carving. 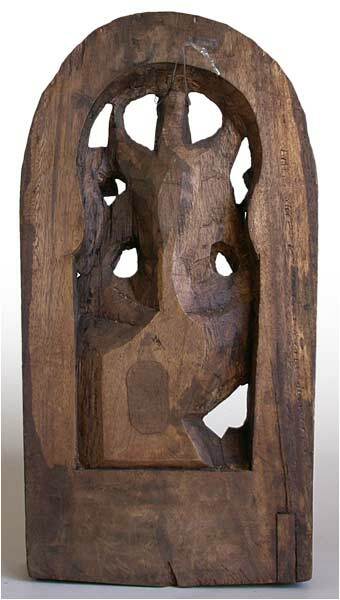 It is a meticulously carved art piece with fine detail.